We at DeVos Tree Care love working with people and we love working with trees. We believe both people and trees can co-exist and even thrive in close proximity to one another. Knowledge, expertise, and care are our building blocks for creating a healthy and harmonious relationship between the two. We are based in Hamilton and are proud to call this area home. We see our clients as our neighbours and Hamilton’s trees as a part of the community. We are keen to work with clients to achieve their vision for a safe, healthy, beautiful, and enduring landscape. Not many things are as enduring as trees, all the more reason to ensure that the best practices are performed from initial planting through early training of its branches all the way to pruning hazardous limbs as the tree gets old. Other unique services we offer include milling trees into live edge slabs, cabling and bracing trees, tree risk assessment, and stump grinding. Not sure if your tree is in healthy shape? Give us a call and we guarantee that an ISA Certified Arborist will stop by for an assessment. Not only will an arborist assess the work but a Certified Arborist will be onsight to perform all tree planting, pruning, and removal operations. 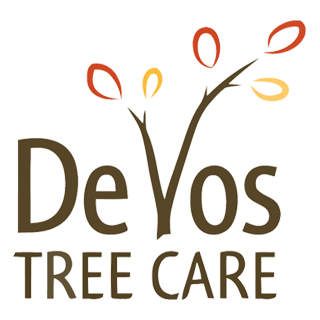 DeVos Tree Care is owned by Aaron DeVos. Before Aaron could even drive he was working for his brothers landscaping company (DeVos Lawn). 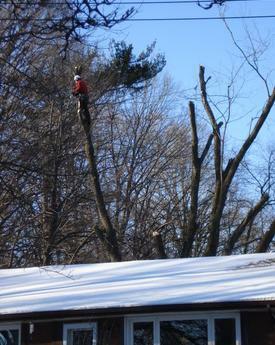 In 2012, he climbed his way into the world of arboriculture. In 2015, Aaron applied and received the Starter Company grant to launch DeVos Tree Care. He lives with his wife, Marika, and his daughter, Ayva, in West Hamilton.